Play cool games that have been made just for kids, they are a fun and safe way to exercise the imagination and be creative at the same time. Help dress up this trendy mother and her cute little daughter for a day of shopping and fun! Help Ann get ready for school look great and impress all her friends! Dress up these cute twins so they both look great in their own special way! As if she could get any prettier! Dress this lovely Molly cartoon doll up in a pretty outfit! Dressup this doll in cute pajamas and night outfits so she can sleep well and have sweet dreams! Dress up your cute puppy with these fun animal outfits! Will you have the best dress dog in the park? A fun My Little Pony Game made for kids, color and create a cute little pony! Dress up this mermaid doll in fantastic underwater outfits! 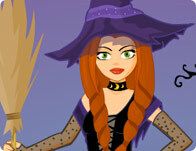 Dress up this friendly witch in cool Halloween customs and outfits! Make your pretty couple doll,first to fabricate it then dress them up. The two pretty couple really make me happy! Dress up this sweet princess with all kinds of cool clothes and accessories! Create a fun look for Dahlia on this bright sunny spring day! Create you own virtual room with this super creative dressup game. Welcome to Girl Games, the largest free game site made just for girl gamers! This is the place to play free Dress Up games in popular categories such as Makeup games,	Wedding games,	Teen games,	Fantasy games,	Fashion games,	Kids games,	Beach games,	Cartoons games,	Dating games,	Celebrity games,	Animals and Pets games,	Coloring games	and more! and much more! You'll always find the cool games at Girl Games, we have all the best games from game developers like i-dressup, girlsgogames and cartoon doll emporium so you will never get bored! This month we have some amazing games like One Tooth Tony	, MixMix Dress Up	and Sue Decoration. New games are added every Thursday, so check back for all the latest free games online! Copyright © 2009 FPS Networks Inc.